Vestnik BIST – Официальный сайт научного журнала Вестник БИСТ (Башкирского института социальных технологий (филиала) ОУП ВО "АТиСО"
Официальный сайт научного журнала Вестник БИСТ (Башкирского института социальных технологий (филиала) ОУП ВО "АТиСО"
The fundamental mission of the academic periodical “Vestnik BIST (Bashkir Institute of Social Technologies)” is consolidation of the scientists’ efforts to form integrated academical infomedia. 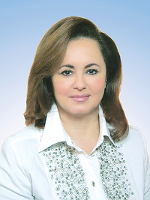 The priority task is to represent the fundamental and practical, academical and educational advances in legal, political and economic sciences. The journal is published every three months. Internet users may browse the list of materials published in the journal since 2009, read the article annotations and gain access to evaluation versions of the journal in PDF format as well as subscribe to the journal. We are looking to cooperate with Russian and abroad scholars, teachers, candidates for a doctor’s degree, trainees, postgraduates, magistrands and experts taking interest in human, social and economic sciences. The scientific journal “Bulletin of BIST (Bashkir Institute of Social Technologies since 2016 is included in the list of peer-reviewed scientific publications, which should be published basic scientific results of dissertations for the degree of candidate of science, for the degree of Doctor of Science by the following groups of scientific specialties: 08.00.00 – economic science, 23.00.00 – political science. 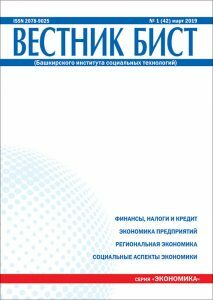 The scientific journal “Bulletin of BIST (Bashkir Institute of Social Technologies)” since 2016 is included in the list of peer-reviewed scientific publications, which should be published basic scientific results of dissertations for the degree of candidate of science, for the degree of Doctor of Science (http://vak.ed.gov.ru/87, No. 224) by the following groups of scientific specialties: 08.00.00 – economic science, 23.00.00 – political science.